Reassurance shield as 136 joins the concurrency. 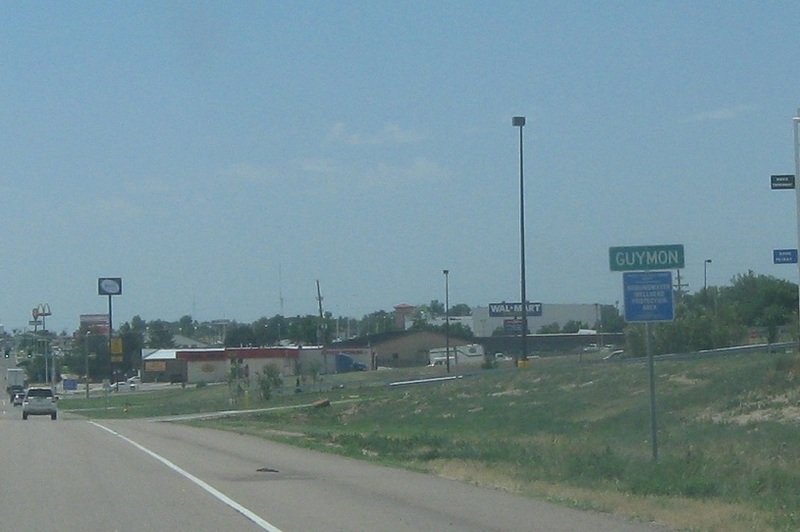 Less than a mile later, we’ll enter Guymon, the Oklahoma Panhandle’s largest city. 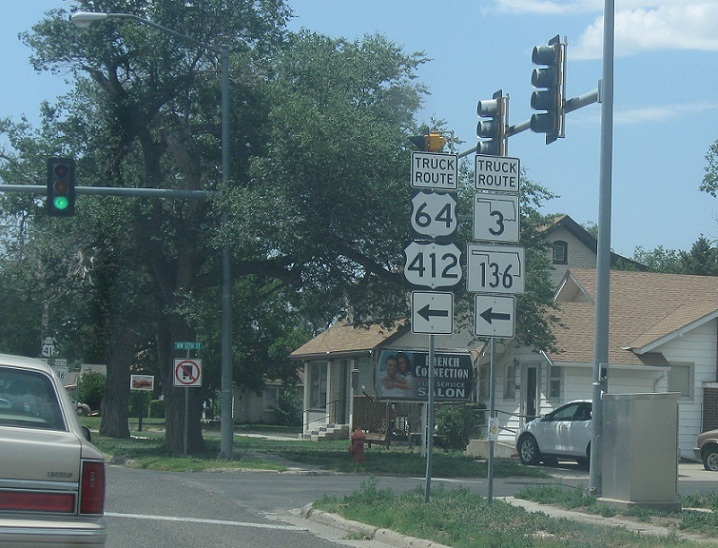 On the north edge of Guymon, turn left to follow 64/412/3/136 truck, which is actually just mainline US 64. 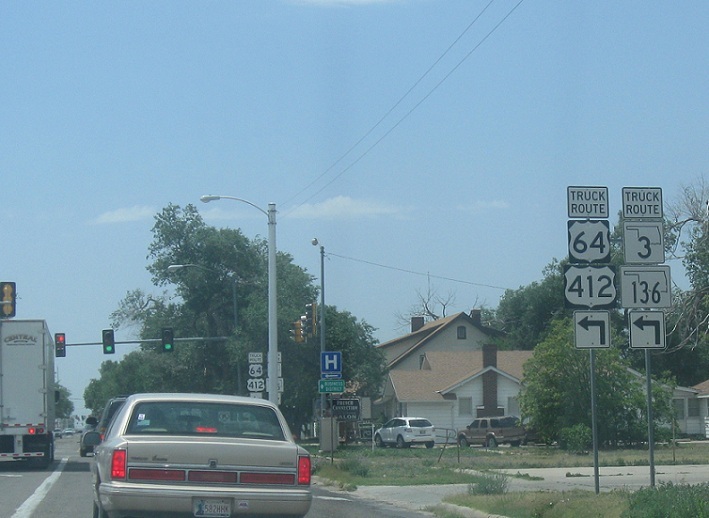 Turn left for US 64 east, which heads over to US 54. 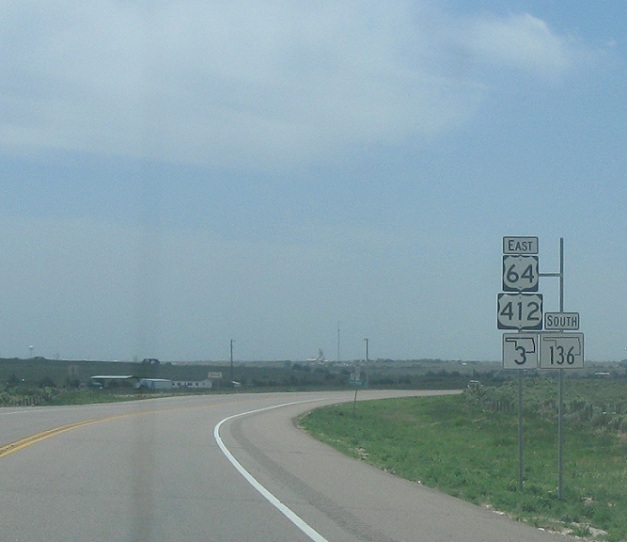 The route also serves as a truck route for the other three highways.